Hearthstone | Join. Compete. Win. “Skirmish” is a weekly tournament where the game in play is rotated. A quick-fire tournament is hosted with one winner standing who claims the entire prize. Skirmish events are open to players of all skill levels and are for fun, grassroots community play and should not be mistaken for Pro League which is a separate event. The prizes for skirmish are purposely modest, with no buy-ins. Pro Leagues will be for high-level play with larger prize pools. Register for this website. This is a mandatory step for all players in all of our tournaments. Players can head to our shop to pick up a free “Hearthstone Skirmish” code to register on our BattleFy. Once you have registered on BattleFy correctly, you’ll see yourself as listed under participants. Make sure to join our Tournament Discord. What is the prize for the winner of Skirmish? No matter the game, the prize pot for each skirmish is the same – €100. That goes to the winning team or player depending on the game. i.e. League of Legends has 5 players on a winning team, the pool is €100. Hearthstone has 1 player on a winning team, the pool is €100. Who can compete in Skirmish? If at any point either player’s hero is destroyed by their health going below 0, the remaining hero is deemed the winner. In the event both heroes’ health is dropped below zero on a single turn, the match is deemed a draw, and must be replayed using the same decks. A player may choose to surrender the game at any point, which constitutes a win for their opponents. Admins may also choose to render the game forfeit as a punishment for any breach of this ruleset, which constitutes a win for the opponents of the team who receive the forfeit. Standard (not wild) – Single elimination, best of 5. All games have to be played with the most up to date version of “Hearthstone”. The game format must be standard. Each player should bring 4 decks to the tournament. Each player should declare their decklists on our tournament BattleFy. Please contact an admin if you need any assistance with this. Both players must tell the other player their chosen four classes via the Battle.net client. Each player will ban one of their opponent’s classes, and then challenge their opponent to a standard duel. Each player must set their chat status to “busy”, and set spectator mode to be turned off. Admins may contact specific players to allow spectating in the event their match is being streamed. Players will then engage in a standard duel. The winner of the match must use the same deck they previously won within the next match. If a player loses a match with a class, that class is unavailable for that player for the remainder of the series. The winner of the series is the one who eliminates all three of their opponent’s decks. 1) Immediately notify an admin via Discord of the issue. 2) Wait to see if the issue is resolved in one turn. 3) If the issue is not resolved within one turn, the player may choose to concede the match and await admin help. If an admin can confirm the issue, a rematch will be offered. If an issue cannot be confirmed, this will be treated as a disconnection (see below). Upon completion of a game, each player must screenshot the VICTORY or DEFEAT screen for submission to battlefy. The players must immediately upload the screenshot to their match on battlefy, along with reporting the score. If the players agree, one player may report all scores. In case of disputes, the disputing player must use the “Report Match Issue” button in the battlefy lobby. In the event of a disconnection, the game may resume from normal if a player can reconnect. If a player disconnects involuntarily before their first turn is finished, the match will be immediately remade with the same settings of the first one. Admins reserve the right to decide for a rematch in case a player with a clear advantage disconnected in order to preserve the spirit of competition. The disconnected player is taking a turn in which they have lethal, and proof of this is obtained. Following a disconnection, the match series must still be finished. If the disconnected player can reconnect to the game, the series will continue, with a single win in the series awarded to the player who did not disconnect. The series will then resume from the following game as normal. Spectating is not allowed and should not be enabled. 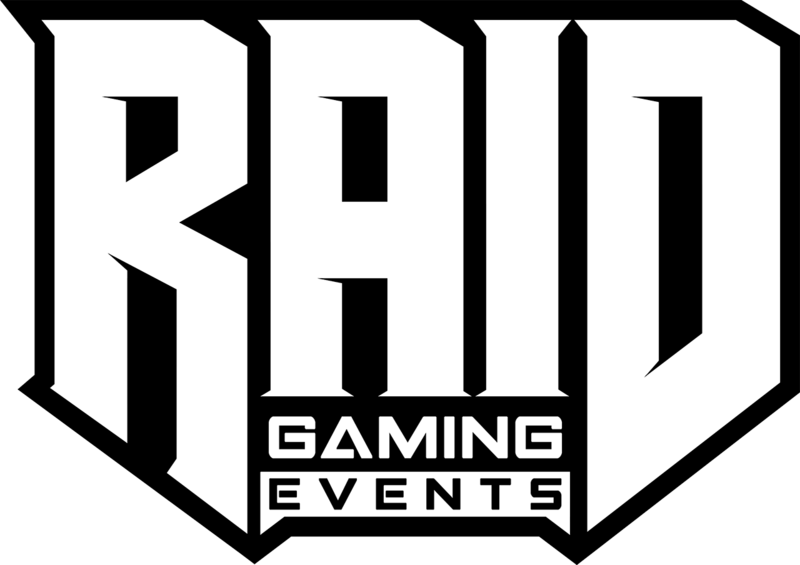 © RAID GAMING SOLUTIONS LTD. 2018 | All rights reserved.